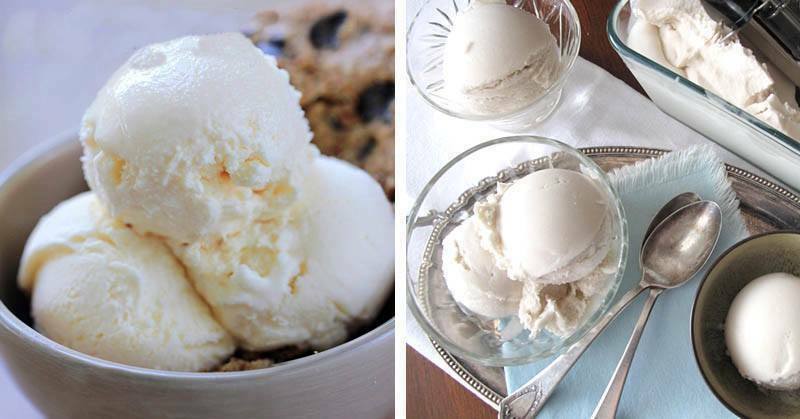 If you are an ice-cream addict, this recipe will soon become one of your favorites! Despite being free of dairy, and Paleo-friendly, it consists of only four simple ingredients. What’s more, you do not need to make it in an ice-cream mixer! All its ingredients are healthy, such as coconut milk, and does not include any of the sugary mixtures other kinds of ice-cream contain. You can even substitute the coconut milk with coconut cream, which is sold in all health food stores. Coconuts are abundant in healthy nutrients and significantly improve the health in numerous aspects. They are high in minerals, dietary fiber, and vitamins C, B1, B3, B5, B6, and E.
The coconut cream uses the cream which rises in the production of coconut milk, which consists of grating and heating the flesh. The milk can perfectly replace milk in the case of lactose intolerance as it provides the same benefits, but does not upset the stomach. Just like all nuts, coconuts are loaded with fats and calories. These saturated fats are short and medium chain fatty acids, which contain compounds which prevent infections and viruses. Because of this, coconut milk is excellent for the preparation of your desserts and it actually makes them a healthier alternative than the regular treats. The preparation time will take you no more than 25 minutes, and the cooking time is 4 hours. It serves 3 to 4. You should place the mixing bowl and the coconut milk in the freezer to chill for 15 minutes. Then, whip the coconut milk, vanilla extract, tapioca flour slurry and the maple syrup in the chilled bowl for 5-10 minutes, using a stand mixer or egg beaters. Next, pour the mixture into a lined freezer-safe container. Wrap it gently with plastic wrap and foil, and leave it in the freezer for 4 hours or overnight. When it is completely frozen, leave it for 10 minutes to thaw, and then scoop it. Enjoy the healthiest and most delicious ice-cream ever!